Mayne Island is located across the Strait of Georgia from Tsawwassen, just south of Galiano Island across Active Pass, west of Pender Island and north of Saturna Island. 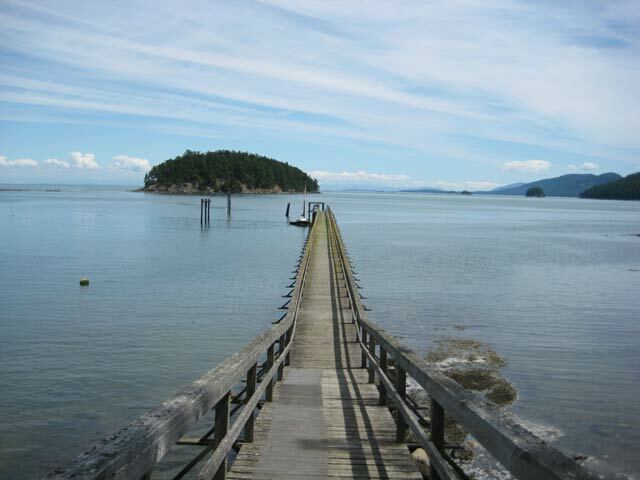 To get to Mayne Island, you have the choice of taking a private boat, a water taxi, a sea plane or as most people do take a regular scheduled ferry on BC Ferries. You can either leave from Tsawwassen on the Lower Mainland or Swartz Bay near Sidney on Vancouver Island and sail through the Gulf Islands to the Village Bay ferry terminal on Mayne Island. The main commercial centre for activity on Mayne Island is located in Miners Bay just east of Village Bay Ferry Terminal. Once a stopping-off point for miners going to the Cariboo gold fields, Miners Bay has been in existence since the early 1900's. You can view some of the oldest buildings on the island in Miners Bay with the old Agricultural Hall, Plumper Pass Museum located in the original lockup and the St. Mary Magdalene Church. 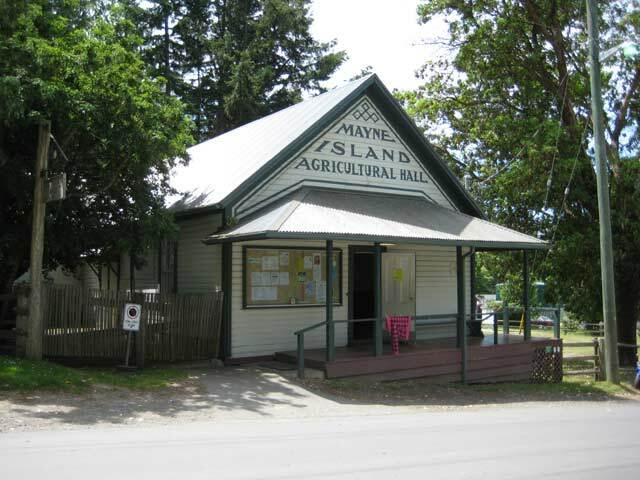 The Agricultural Hall features the Mayne Island Open Market Saturday mornings from July through October and is home to the annual Mayne Island Fall Fair which happens in August. At Miners Bay you can also find the two main island stores one called the Trading Post which is situated just up from the CRD government dock. The Trading Post offers meat, fresh produce, a liquor outlet and small hardware items. Then there is a True Value Foods which is a little larger and is located in the Mayne Street Mall next door to the Sunny Mayne Bakery Café. For locally produced foods including organic chicken try the Farm Gate Store on Fernhill Road. For some oceanfront adventures situated on the north-east side of the island facing the entrance to Active Pass from the Strait of Georgia sits the Georgina Point Lighthouse. 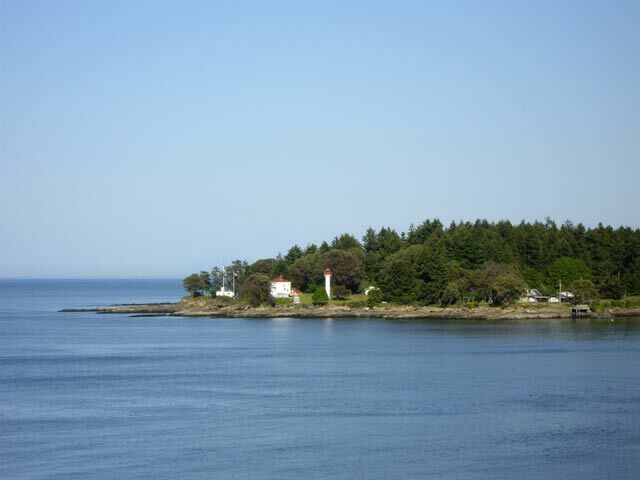 The lighthouse and grounds have been included into the Gulf Islands National Park Reserve giving people a day-use facility with access to the waterfront around Georgina Point. Besides Georgina Point are two other parks on Mayne Island that are also part of the National Parks of Canada - Gulf Islands National Park Reserve. Both Bennett Bay with beautiful sandy beaches and Georgeson Island featuring a sandstone rock formations and a forest of Garry Oak, Douglas Fir, and Arbutus Trees, will give you access to some areas well-renowned for great kayaking and ocean exploring. 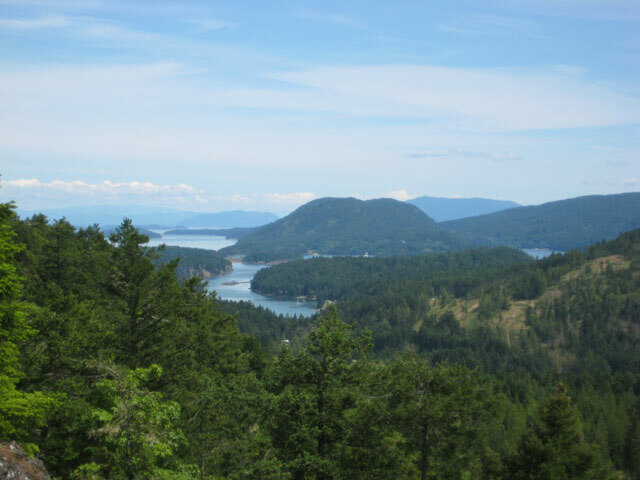 For a beautiful panoramic view of Mayne Island and the other neighbouring Gulf Islands, go to Mount Parke Regional Park. 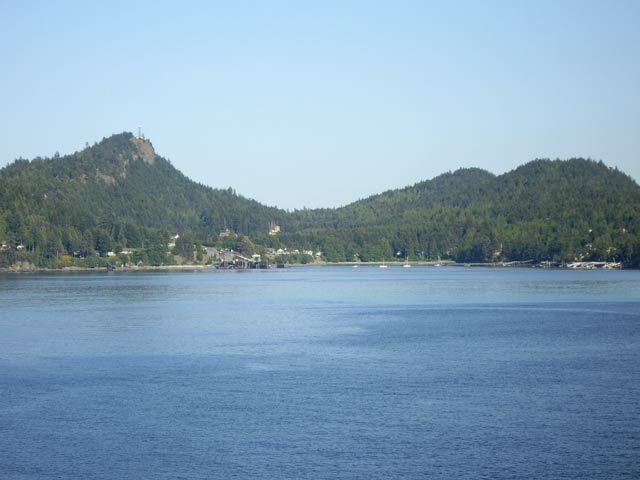 About a 45-minute walk up a slight hill takes you to the top of Mount Parke where you can enjoy the highest point of Mayne Island at 185 metres (607 feet). Throughout the trail going up you'll pass fields of wildflowers and native birds. 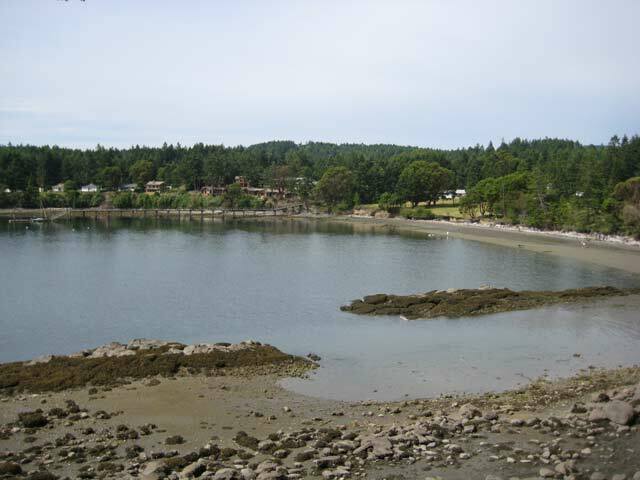 Other places on Mayne Island to beachcomb, wildlife watch or just marvel at the ocean is at Dinner Bay Park. Dinner Bay is a major meeting and social gathering place for the local residents of Mayne Island and also the site of the beautiful memorial Japanese Garden. The community park features flush toilets, a children's play area and picnic grounds. Helen Point is the site of the oldest aboriginal remains of a fishing ground next to Active Pass, estimated to be 5,000 years old, in the Southern Gulf Islands. 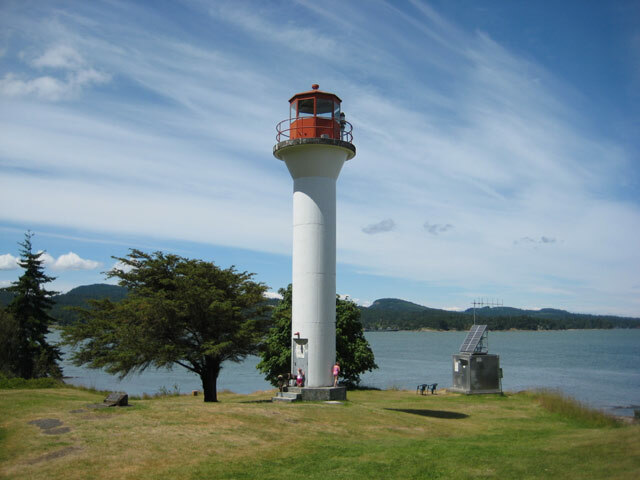 Today Helen Point serves a location for a lighthouse station for the entrance into Active Pass and is the traditional land of the Tsartlip Indian Band. For something to eat, Mayne Island has a couple of choices including the Bennett Bay Bistro located in the very beautiful Mayne Island Resort. The bistro offers an outstanding ocean view along with delicious food items many coming from a sustainable fishery. 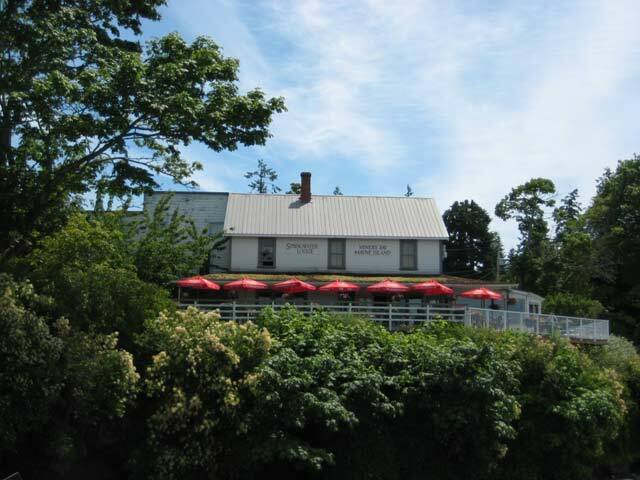 Besides the pub, the Springwater Lodge, which was established in 1892, also has accommodation including waterfront cabins, moorage and an outdoor patio restaurant. 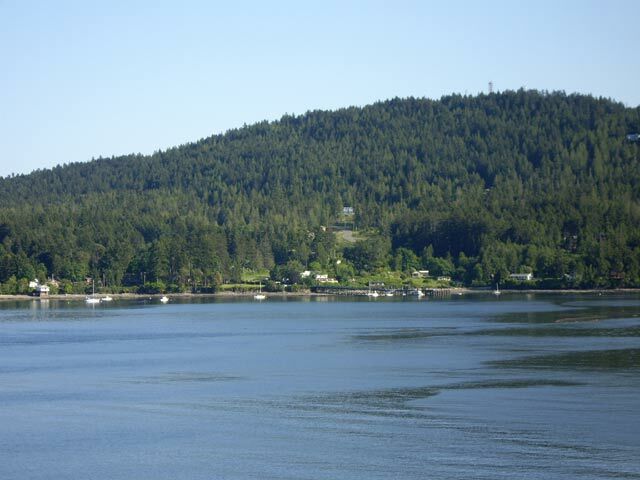 The lodge which has a beautiful view across Active Pass towards Galiano Island is conveniently located right in Miners Bay. You can find the Springwater Lodge next to the CRD Dock in Miners Bay. 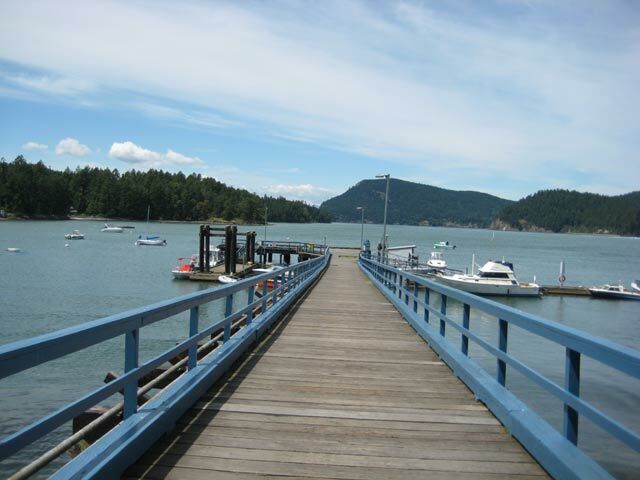 Also at the CRD Dock, there is a gas and diesel float, fishing licences and some moorage on a first-come, first-served basis. You can find a boat ramp at the Village Bay where there is ample launch space. Definitely one of the highlights of Mayne Island is the annual 'Cow Pie Run' and the Lions' Salmon Barbecue taking place at the end of August. This event attracts all of Mayne Island's residents into a full weekend of celebration, fun and entertainment. There are artists' studios and galleries found throughout the island and include the En-Vision Gallery, the Active Pass Fine Art Gallery, the dragonfly gallery, Toby Snelgrove Photography, the Tree Frog Gallery and the Creative Potager. For accommodation there are a number of lodges, Bed & Breakfast outlets from which to choose. If you prefer to camp, there are no campgrounds in any of the parks but there are two private operators - Fern Hollow Campground and Mayne Island Camping.